We are looking for two interns for the Fall Semester 2018: One who is passionate about design (Danish or English speaking) and one who is passionate about research, strategy and concept development (Danish speaking). 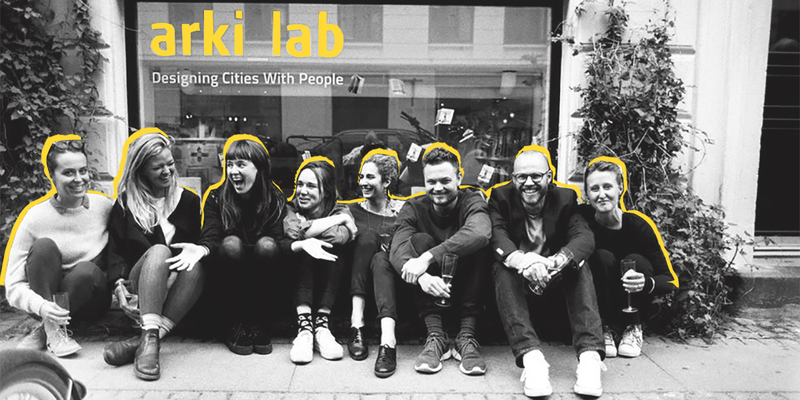 arki_lab is an interdisciplinary urban design studio, with a strong focus on democratic processes. We think good cities are diverse and democratic, supporting and nurturing communities. This begins with inclusive design. That’s why at arki_lab we dedicate our work to involving the people in the architectural process. We uncover local knowledge through our engagement tools and turn dreams into urban interventions, design and strategies. We aim to ensure peoples’ right to co-create cities and thereby develop vibrant and sustainable communities. Our team comprise of urban designers, architects, anthropologists and sociologist. We’re always looking for further expertise and fields to bring onto our team. If this sounds like something for you, send an application to application@arkilab.dk no later than the 7th of May 2018. Please remember to write in the subject line, which internship you’re applying for. If you have any questions about the internship, please send an email to application@arkilab.dk.